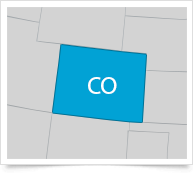 You can access the full Colorado Employment Law Manual (over 50 state-specific reference resources) and Employee Handbook templates (over 10 state-specific handbook policy templates) below, as well as view key state and municipal deadlines, additional state-specific resources and links to key municipal coverage. Updated to reflect the 2019 increase in the minimum salary for overtime-exempt executive / supervisory employees, effective January 1, 2019. Updated to reflect amendments to the state data breach notification law and the disposal of personal identifying documents, effective September 1, 2018. Updated to reflect amendments relating to the state data breach notification law and the disposal of personal identifying documents, effective September 1, 2018. Does This Law Apply to My Organization in Colorado?